Last night I had a chance to attend a small gathering with Peter Jackson, where he discussed new film District 9, which he produced, as well as his upcoming projects - including The Hobbit and Tintin. 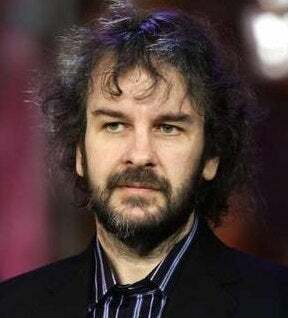 Here's the scoop on what's new with Peter Jackson, who is working on some of the most intriguing movies of the next few years in between building World War I planes from scratch. Coming out in a few weeks, District 9 was produced by Peter Jackson, and directed by relative newcomer Neill Blomkamp. It's about what happens when a generation ship filled with a million starving, sick aliens stalls over Johannesburg, South Africa. Eventually they are relocated to a sprawling favela outside the city, and the movie deals with how that impacts everyday life among the local humans. Jackson said that the idea for the movie came about after a rights dispute between Fox and Universal killed the movie Halo, which they'd been working on for several months. They decided that it would be best to showcase Blomkamp's talents with an independently-financed film that would have no rights issues associated with it. So they made a $30 million movie, filmed largely in Johannesburg. A lot of it is unscripted, and was extemporized by the lead actors to give it a spontaneous, documentary feel. All the aliens, who look rather insect-like, are CGI that was done at Image Engine. The movie was shot with the now-legendary digital Red cameras. Jackson is quite taken with the Red cameras, and says they are digital without looking digital. "I like the way Red has a soft, pastel quality," he explained. told him that was what he could do that Transformers and GI Joe couldn't. We could be grungy and dirty and rude and violent. That's how he could compete with movies like that. Once you have 100 million dollars, you naturally get more conservative and you think about the demographic and such. We were able to have total freedom. Jackson and co-authors have successfully pitched The Hobbit as two movies, both of which Guillermo Del Toro will co-write and direct. They are about 3 weeks away from finishing a draft of the script for the first movie, and at that point they will start to think about casting. Jackson insisted that nobody has been cast, and indeed nobody has even been contacted about casting. Based on the timetable he gave us, it sounds like you'll start hearing about real casting in a couple of months. What will The Hobbit be like? They are diverging from the books a bit to give Gandalf more backstory with the Necromancer. So they are adding to it, but not taking away. Jackson assured us that all 13 dwarves will be in the story, and they will stick as closely as possible to the original events of the book. The Lovely Bones is what Jackson described as "a thriller," and its a fairly liberal adaptation of a novel by Alice Sebold about a teenage girl who is murdered in the early 1970s. In the mythos of the book (and the movie), the afterlife is based on whatever you believed or experienced in real life, and so the main character's idea of life after death is "very 1970s," as Jackson put it. "We actually watched episodes of The Partridge Family for inspiration for [main character] Sue's idea of heaven," he said. We watched a 4 minute series of clips from the film, which reminded me a little bit of The Virgin Suicides with its teenage girl protagonist wandering in a pubescent daze through a world of glowing, 1970s murderous weirdness. Saoirse Ronan, who plays main character Sue, is the perfect combination of tentative girl and anguished proto-adult. Stanley Tucci is almost unrecognizable (and amazing) as her killer. And the images of Sue's afterlife are like Lord of the Rings on acid: Jackson calls it "hallucinatory," and he's right. He also said they worked hard not to make it a tearjerker, so expect an intense experience but not one designed to make you get out your handkerchief. Steven Spielberg has just finished his first cut of the first Tintin film. He did the motion capture for [the film] and directed it. That comes down to New Zealand and Weta Digital is going to work on it now. My role is as producer and I'm collaborating on effects shots. As for the second Tintin second film – it's pencilled in for second half of 2010. about a year before first one comes out. We need a script and I'm keeping options open. I'm partial to [Tintin story] The Seven Crystal Balls and Prisoners of the Sun. going to read them all again. For several years, Jackson has aimed his geeky hobbyist powers at building World War I airplanes from scratch. He has a company down the street from his studio called The Vintage Aviator where a team painstakingly recreates World War I planes from vintage engines and the original drawings for the aircraft. He's created a number of planes this way, and flown as a passenger in them (he doesn't fly himself, and seems to enjoy the planes as a craft more than as a sport). Jackson has created several short films in which these planes play a role, one of which is on display in an Australian military history museum. Jackson is also producing a remake of a World War II pilot movie, Dam Busters, which may actually be his first 3D film. Currently they are doing tests of flight scenes in 3D, which he showed clips of. They look fantastic, and the 3D mixed with the vintage look of the film is quite striking. [Fantasy is] more interesting if you treat it as historical. That's one of the things we did with Lord of the Rings: We wanted [Middle Earth] to feel like a real place. And for the movie to feel like a genuinely historic occasion. We based the design on the principle that it's a historical event. Nothing too fantastical. I wanted it to be dirty and grungy. Plus, it was based on cultures that existed, with elements of art nouveau and Scandinavian design. Hobbiton was pre-Victorian England. We went to real history to get our sources. Jackson owns the rights to Naomi Novik's Temeraire series of novels, in which the Napoleonic Wars include air battles fought from the backs of dragons. With his interest in World War I-era dogfights, the story seems perfect for Jackson. He says that he's toying with the idea of doing it as a miniseries because he wants to include the whole arc of all the novels and doesn't want to worry about whether a first movie won't do well enough to merit a series of sequels. Several times Jackson emphasized that he's excited about getting back into low-budget movies, whether that would mean doing a war movie or a horror movie or something else. After the press session was over, I still had one burning question, so I stuck around to ask Jackson if he would ever consider doing a splatter-style horror movie again. "I do think about it," he admitted. "I'd like to do a low-budget one, perhaps while Guillermo [Del Toro] is filming The Hobbit." I suggested the two of them could do a monster-measuring contest, with Del Toro's monsters from The Hobbit going up against monsters Jackson would invent for this horror flick. "A monster bake-off!" Jackson replied with a grin. Let's hope it happens.